How does VISA processing time compare to Bitcoin? 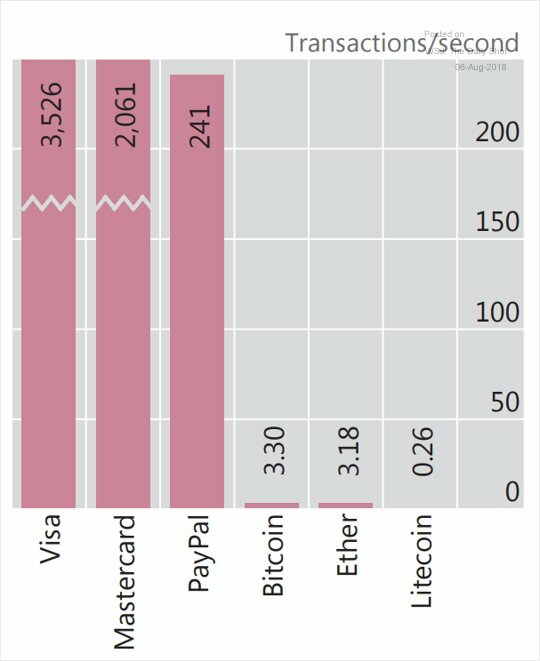 Well, Bitcoin does 3.3 transactions per second while VISA does 3,526. So, VISA is over 1,000 times faster. So much for Bitcoin as the “future” of money.